Perhaps the all time classic "power look", wearing a red silk tie with your navy suit, is not quite as easy to nail as one might think. This is especially true when people start iterating with more than just a plain red tie and a white linen pocket square. The most common thing I see at work is using a shiny red silk pocket square, something that's very rarely in balance with the rest of the outfit. I'd also recommend avoiding any Donal Trump esque Brioni or Hermes silk ties with no or almost no texture. 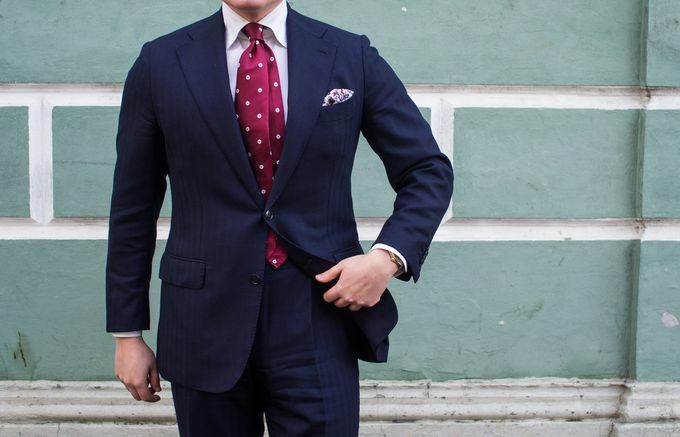 and stick to a grenadine tie, a subtle printed twill silk tie or a subtle jacquard tie as I have here. A classic grey herringbone wool coat is a great option for any business look. 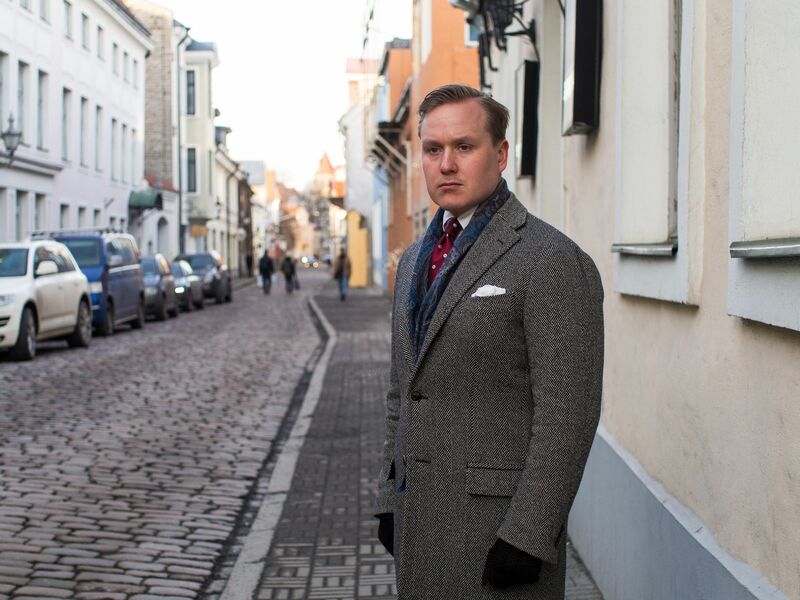 The white cashmere pocket square on the coat chest pocket is a subtle touch that can be left out and in very formal occasions is best left out. I've already written many and many articles on fit, so I won't go into detail here. That said, it goes without saying that at least a fairly classic fit with classic proportions is a must when you want to achieve a respectable and professional look. This means forgetting about narrow lapels, super high buttoning points on suit jackets and so on. 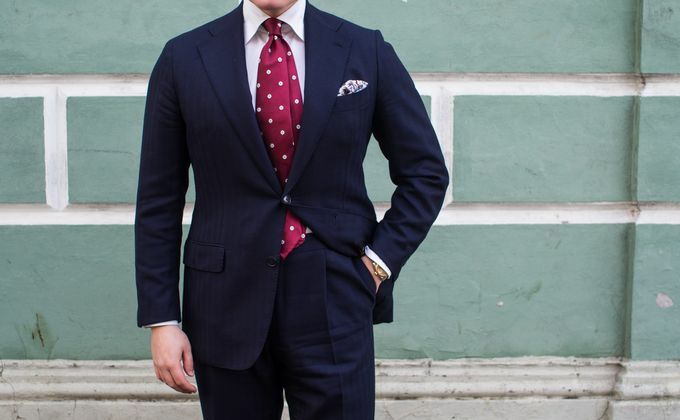 A white shirt with a regular semi spread collar is the preferred option, but a light blue option or other classic collar options work as well. 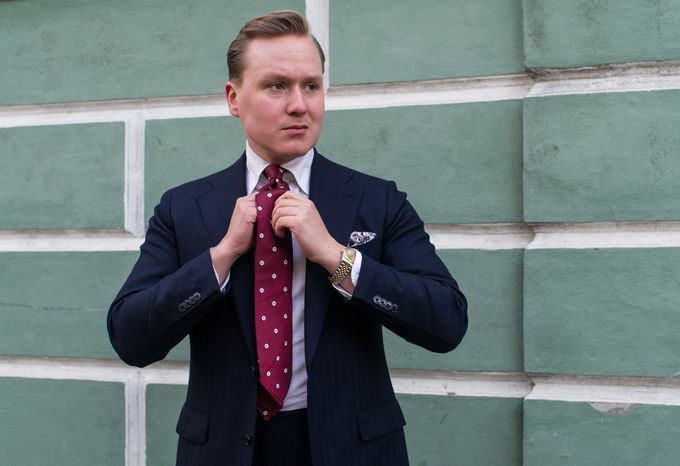 When it comes to the actual tie, your number one choice is a dark red grenadine tie (both small or larger weave will do). 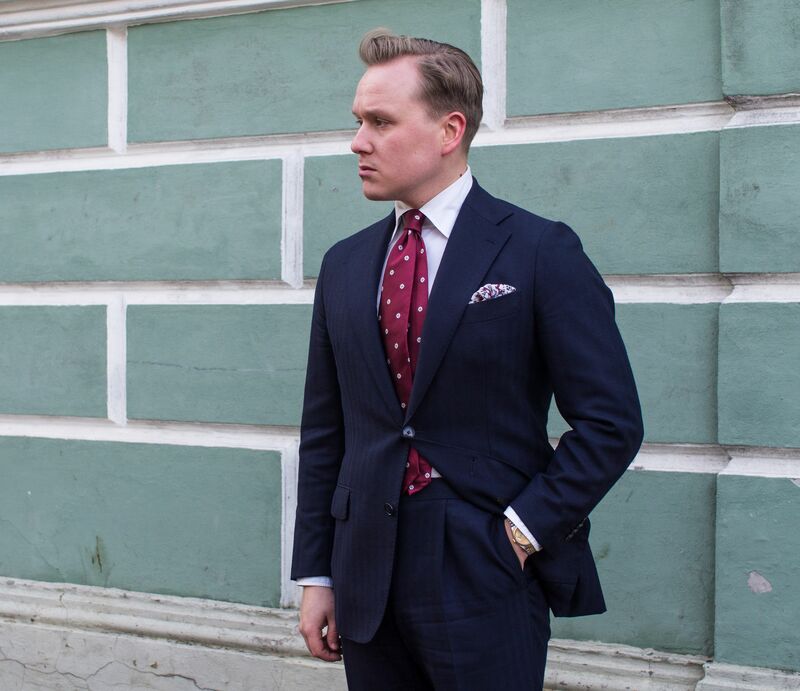 In this outfit, I've gone for a jacquard silk option which has a slightly more vintage feel. Lastly, a white linen pocket square is the best and most formal option for a pocket square. If you wish to take more liberties with your square, at least choose an option that has a fresh white base color. Choosing and then tying your knot carefully is always an important detail on any outfit. 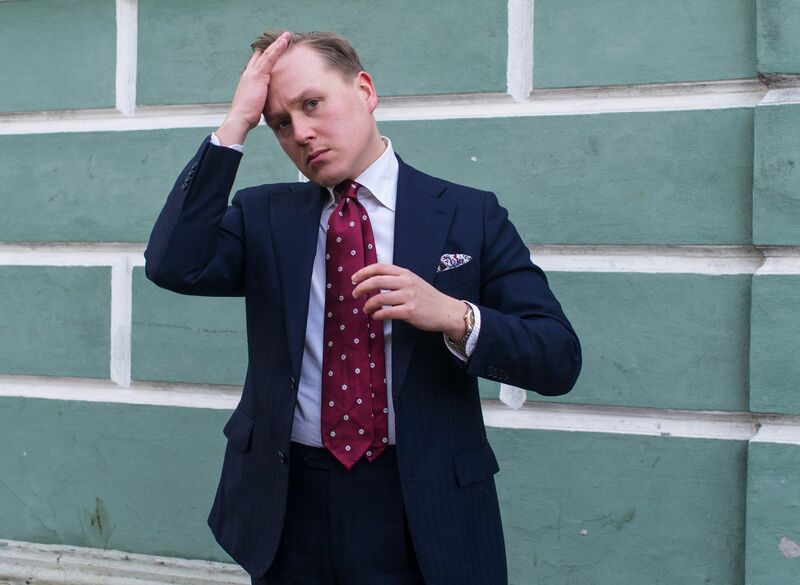 While knots are very much a matter of opinion, I would limit the possible options to a half-Windsor knot, four-in-hand and a double four-in-hand knots. 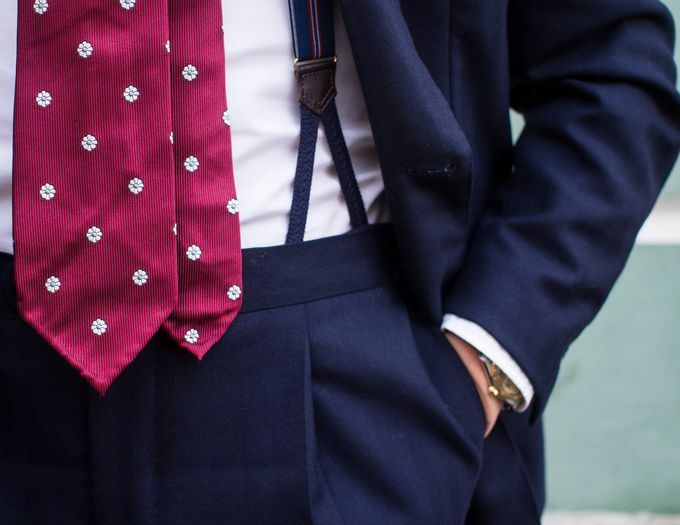 I personally only and always use a double four-in-hand. If the occasion is very formal, as it often tends to be when you want to bring out the "power look", it is best to tie a knot with one single dimple in the center. If you've read my blog for a longer time, you know I've grown a liking to all things slightly vintage over the last few years. The tie in this outfit is actually a bespoke jacquard tie by the tie master in Naples, Patrizio Cappelli. While it's not actualy vintage, I feel the design, the sheen of the silk and the woven flower pattern work perfectly together creating perhaps the absolute piece for work outfits such as this one. A funny detail in the tie is that the pattern is not centered, something I'd like to think was a bit of a miss in the making of this piece. Yet this fact kind of just adds to the charm of a bespoke item, something that was created just for you, by hand. If the occasion is very formal, the best options for shoes is a black toe cap Oxford. 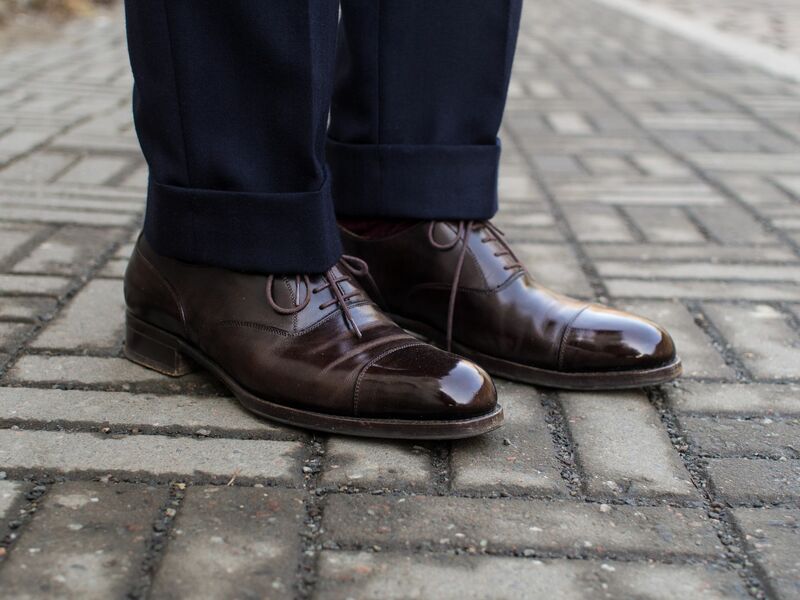 In this case, I've selected a pair of dark brown Oxfords from Vass Shoes. 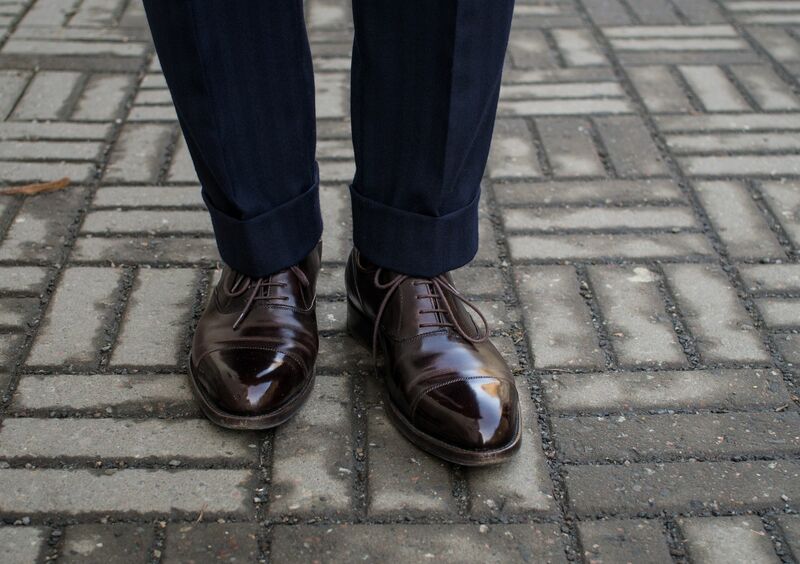 A dark brown pair of Oxfords option is great option if you're dressing for a more regular day at work as I have here. 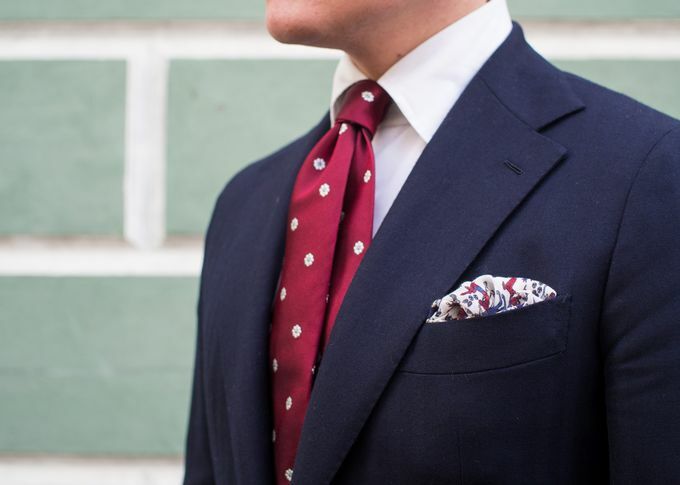 This is also a great example of those details that can tune your outfit into more casual or formal direction, kind of like selecting a sublty patterned pocket square instead or a plain one. And one last thing regarding shoes is that you want to make sure they are at least clean and preferably well-polished. So to sum it up, the power look is as much about the overall coherence and harmony of your outfit as any other look. Invest in quality pieces and make sure the selected components work together and have roughly the same level of formality. If you're not sure about something you want to try out, don't and stick to the basics instead. 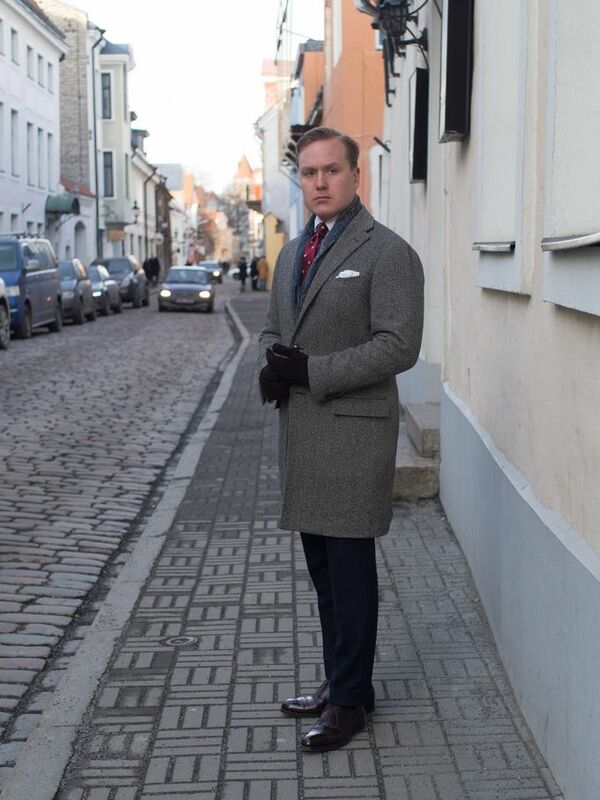 The items worn in this look include a Ring Jacket wool coat, Berg & Berg Merino wool scarf, Madova Firenze carpincho gloves in espresso brown, Vaatturiliike Sauma handmade made-to-measure suit, bespoke jacquard silk tie by E&G Cappelli, limited edition wool modal pocket square by Drake's London, made-to-measure shirt by Luxire, braces by Drake's London, socks by Mazarin and made-to-order Oxford shoes by Vass Shoes.